This Yeriappa recipe is a sweet appam recipe. 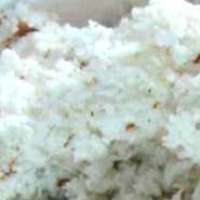 Yeriappa is a part of festival foods, navaratri (navarathri) recipes, made during dasara festival in Karnataka. Yeriappa is made on the ninth day of dasara, the saraswati pooja day as an offering to Saraswati, the goddess of knowledge. The ten day festival dasara - dussehra is celebrated with fervor in Karnataka. Apart from the 10 day doll arrangement made in most homes, it is celebrated as a state festival. Many cultural events, competitions, exhibitions, games are held. It is a mixture of both religious as well as social gatherings. Yeriappa is made using rice and fresh coconut. 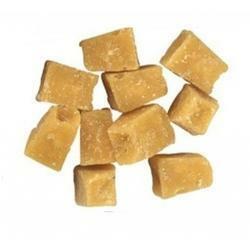 Jaggery(molasses) is added as a sweetener. Given below is one traditional simple and easy yeriappa recipe. Salt (optional) - a pinch. Wash rice well. 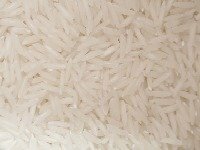 Soak rice in water for about 1 to 2 hours. After one hour, remove water from rice. Put the rice in the mixer along with coconut and jaggery. Add cardamom powder and grind to a fine paste. Add a little water to get a thick batter(like idli batter) while grinding. The consistency of the batter should not be very watery but should be pourable from a spoon. Heat Oil in a deep kadai or a pan. Once oil is heated, keep the heat medium. Take a tablespoonful of batter and pour it into the Oil. It will spread by itself into a circle. Put 4-5 spoonfuls this way into the oil. After a minute turn the yeriappa. Fry until they turn golden brown. Drain well and remove on a absorbent paper towel. Deep fry all the yeriappa in the same way. Yeriappa tastes good when it is hot but it is good the next day too. This will keep good to eat for 2-3 days without refrigeration. For variation you can add some tuvar dal, aval(poha- beaten rice - rice flakes). Yeriappa is similar to uniappam, appam from Kerala recipes. Mashed banana may be added to this batter to give it a banana flavor. If you want to avoid the deep frying, you may shallow fry yeriappa in a appam pan if you have it. These appam pans are available in iron, cast iron and nonstick varieties.